Motorola has launched 5G Moto Mod and Moto Z3 latest flagship smartphone in the Moto Z series Moto Z3 has a 6-inch Full HD+ Super AMOLED display powered by Snapdragon 835 processor with 4GB of RAM and 64GB of internal storage. On Camera has 12-megapixel dual rear cameras with depth-sensing AI photo features, including Cinemagraphs and support for Google Lens and 8MP front-facing camera with f/2.0 aperture. It has Corning Gorilla Glass protection on the front and back and lightweight, aircraft-grade 6000 series aluminum frame. It has a side-mounted fingerprint sensor, but it doesn’t have a home button at the bottom. The phone supports Moto Display, Moto Actions. Packed by 3000mAh battery with support for Turbocharging. 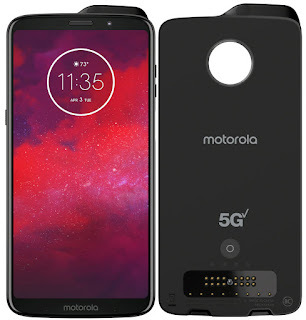 Motorola has introduced 5G moto mod with built-in 2000mAh battery that will make the Z3 world’s first smartphone with access to Verizon’s 5G Network when it launches in select areas in 2019. 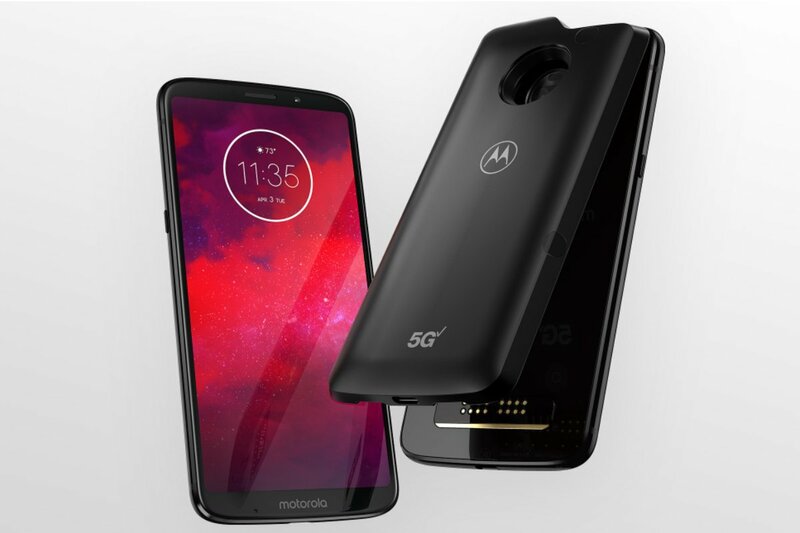 Motorola said that it has partnered with Qualcomm to achieve this utilizing the flagship Snapdragon X50 modem and millimeter wave components. After the Z3, the Moto Z2 will get support for 5G. Moto Z3 comes in Ceramic Black color, is priced at $480 (₹ 32,940) in retail or on contract at $20 a month for 24 months exclusively through Verizon starting on August 16. The 5G moto mod will be available in the US exclusively in early 2019, but no details about its pricing.